Emergency Medicine Cape Town (EMCT) came to life back in 2001 when the Divisions of Emergency Medicine at both the University of Cape Town and Stellenbosch University were formed. 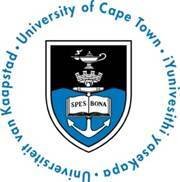 Back then, the Division was run as a joint venture between the two Universities. The specialty of Emergency Medicine became nationally recognised in 2003, with the College of Emergency Medicine (CEMSA) founded in 2004. EMCT took the lead to become the first South African institution to offer a specialist exit degree in Emergency Medicine that same year. Today EMCT offers several degree options, including doctoral degrees. It hosts the largest emergency medicine school in Africa and is responsible for a large proportion of all emergency medicine research produced on the continent. These are proving to be exciting times for emergency medicine in the region, and this emerging speciality is fast becoming a vital foundation for health care in the Western Cape, South Africa and Africa. Through integration within the local and national public health sector, EMCT has expanded to provide substantial clinical and quality resources within emergency centres, at special events and on the road, through providing specialist staff, knowledge and training. 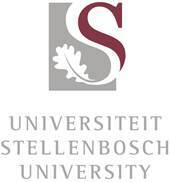 Our partnership includes Stellenbosch University, the University of Cape Town and the Western Cape Government Department of Health.